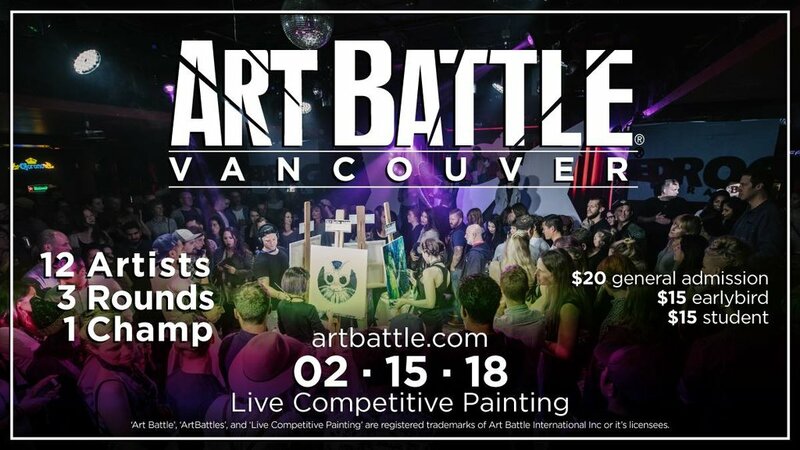 Art Battle® can't wait to be back in Vancouver! Join us at The Red Room for an inspiring night of creativity and community. Come watch as painters transform blank canvases into beautiful pieces of original artwork in just 20 minutes and help vote to determine the champion of the night! See you there! *Doors for this event will be at 6:00pm! *All Vancouver AB events are 19+ - 2 pieces of Valid ID needed to enter.